It’s no secret why the Globe and Mail recently called Prince Edward County the “gastronomic capital of Ontario.” It offers the ultimate farm-to-table experience with a small-town charm where you can easily end up rubbing elbows at the bar with local farmers, winemakers and chefs. 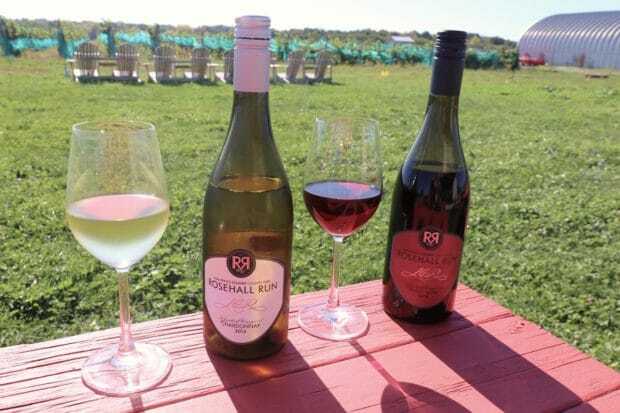 At the moment Prince Edward County is my favourite wine region to enjoy a rural romp in Ontario. I first visited The County four years ago and was amazed on my recent trip to see how Picton, Bloomfield, Wellington (and all the cute spots in between) have evolved in such a short time. You can see, taste and smell the youthful entrepreneurial spirit here. The County’s limestone-rich soil and climate provide a terroir that is producing scores of award-winning wines. The varietals that grow best are Chardonnay and Pinot Noir, two grapes you’ll be swooning for as you adventure along romantic rural roads. 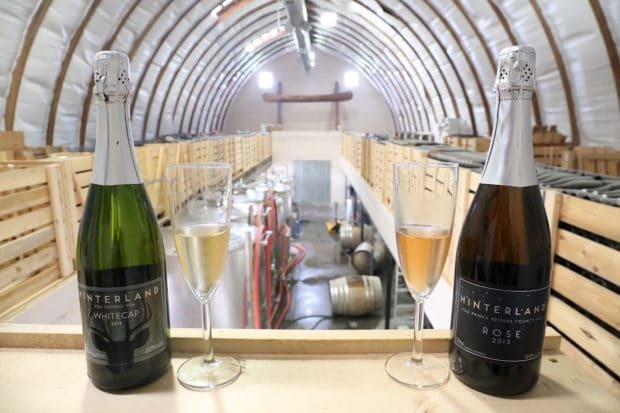 Fans of the pretty pop and fancy fizz should be sure to visit Hinterland Winery for a swish and sip. The small family-run farm launched in 2007 and produce a range of excellent traditional, charmat and ancestral method bubbly. Be sure to sample their signature Whitecap and pretty pink Rose before ooh-ing and ahh-ing over refreshing sparkling apple cider. Bruno and Jens run The Old Third Vineyard, a boutique winery located on a steep slope in Hillier. The duo’s first commercial harvest was in the autumn of 2008, quickly making a splash with oenophiles across Ontario. Visitors looking to sip on site stroll through a beautiful cathedral like barn, built in the 1860s. Be sure to sample their celebrated Pinot Noir and sparkling Golden Russet Cider. 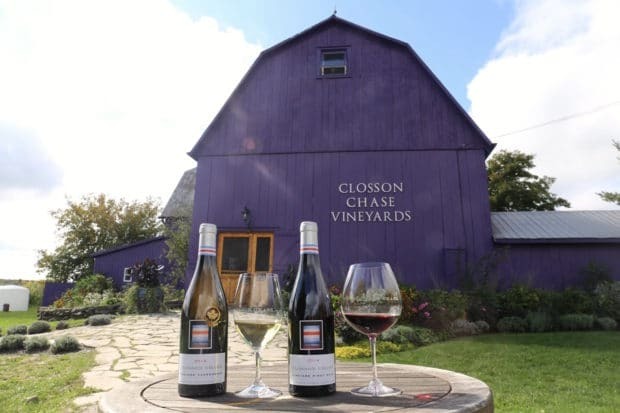 Closson Chase is a quality-driven producer that helped spearhead the Prince Edward County wine industry, using centuries-old European traditions and sustainable, innovative techniques. Harvesting only the finest Chardonnay and Pinot Noir grapes, Closson Chase is committed to creating world-class wines that are an expression of PEC terroir. 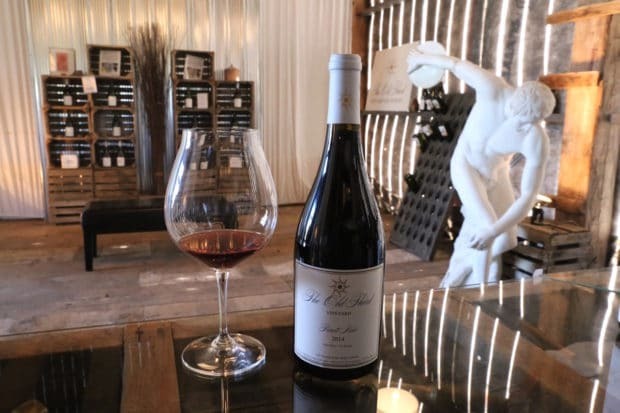 The estate comprises over 30 acres and includes a petite tasting room, rotating art gallery exhibit and gorgeous backyard garden. Visit Rosehall Run and pick-up a quick lunch or late afternoon snack at the County’s trendiest food truck. PICNIC offers sandwiches, salads, charcuterie and cheese plates made from fresh local produce and artisanal ingredients. After enjoying a wine tasting at the bar, grab a seat out back on an adirondack chair and pair your PEC picnic with your favourite glass. 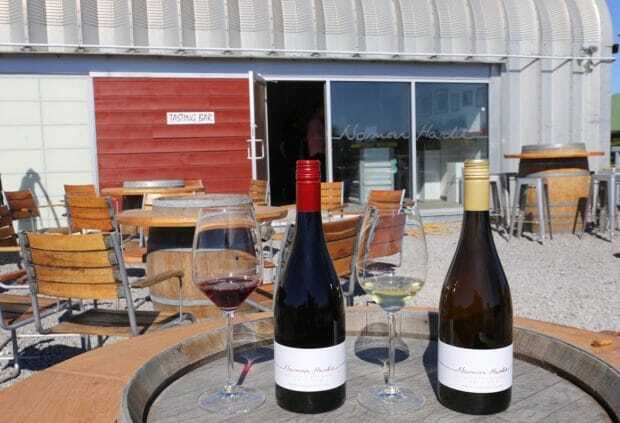 Norman Hardie’s wines are grown and vinified in small lots drawing on his harvesting experience in Burgundy, South Africa, Oregon, New Zealand and California. The purity of flavour and textures in his wines tell a story of Prince Edward County’s unique Taste of Place. Right from his inaugural vintage, Norm’s wines have received international acclaim and can be found in top restaurants from Toronto to Tokyo. Be sure to plan your trip around the pizzeria’s opening hours as they’ve perfected the perfectly scorched slice which pairs beautifully with a splash or two of vino with a jaw dropping view.